QE Is Dead; What’s Next for Fed? 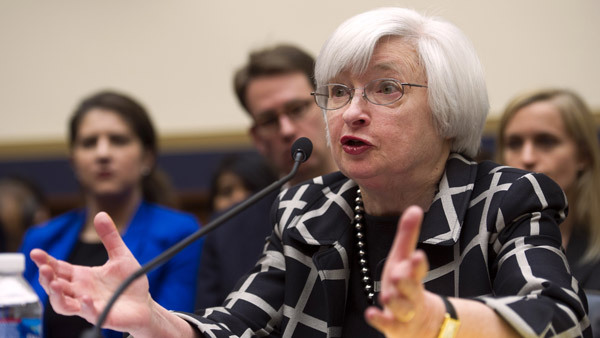 Some analysts expect longer-term fallout from QEs end as the Fed juggles multiple challenges. While some await the drama of Game 7 of the World Series on Wednesday, market watchers have had their eyes and ears fixed on Chairwoman Janet Yellen and the Federal Reserve’s latest pronouncement. Ahead of the announcement, fixed-income and market analysts expected few surprises from the Fed – or from the markets. “This is arguably the most widely anticipated policy conclusion in the Fed’s history, suggesting that the end of bond purchases may not create much market reaction,” said LPL Financial (LPLA) investment strategist Anthony Valeri, in an outlook report on Wednesday. Bonds closed higher on Monday, “showing that the lack of a major buyer is not a concern,” he explains. However, some experts expect longer-term fallout from QE’s end as the Fed juggles multiple challenges. Still, the Fed’s “breakup” from quantitative easing is not likely to be “a clean one as it maintains a steady influence in the mortgage-backed securities (MBS) market,” Valeri explained in a report issued before the release of the FOMC statement. Just because the markets reacted dramatically in the past, such as in 2004, to higher interest rates does not mean that will always be the case, says Phifer. “The yield curve flattened a lot, and the equity markets did OK. The Fed is more concerned about being verbal and careful, which it will be. It wants to remove extraordinary monetary policy — extended QE and zero lower bound,” he explains. If (or when) the Fed mores to a 2% real rate to offset inflation, “It’s a good rate to get to, and the markets should not see dramatic moves,” Phifer added. Lawmakers were quick to weigh in with their comments on the Fed’s decision. That means the Fed can’t upset stock prices, bond yields, credit spreads, bank lending standards or the U.S. dollar. The bond group is upbeat on the stability provided by low policy rates to equity and credit markets. However, when the Fed actually raises rates to 2%, this will be similar to a 3%-4% jump, “because the Fed will be combining its rate actions with balance sheet actions, a massive amount of total tightening,” PIMCO explains. It hasn’t been an easy end to the Fed’s relationship with QE. The sharp drop in bond yields during the summer of 2011 was due in large part to the Fed’s announcement that would remain on hold for nearly two years, reducing a key source of interest rate risk at the time. Investors should keep their eyes on global trends, notes LPL’s Valeri. Expectations, of course, play a key role. The Fed’s first rate hike, Valeri says, is now priced in for late 2015. “Expected changes in short-term rates, along with economic growth expectations, are likely to maintain a greater influence over bond yields than the quantity of bonds the Fed is purchasing,” the expert said.